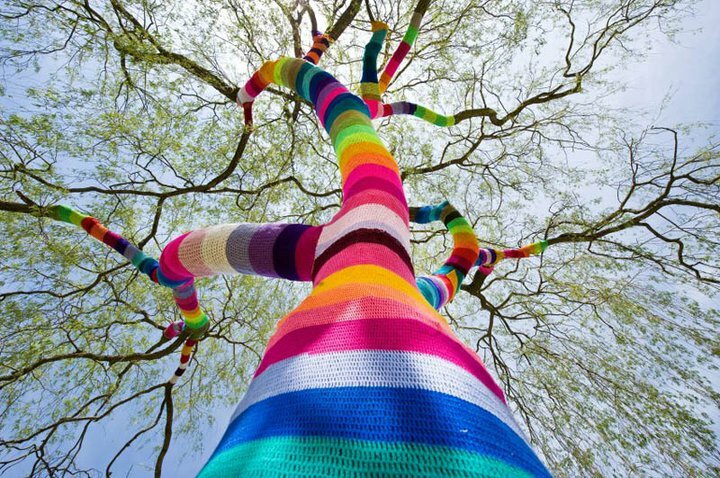 I love to look at all the fun yarn bombs out there! I feel inspired to create one somewhere local, but I don’t want the city of Santa Rosa to go through the hassle of taking it down. I might just do one for a family member, maybe a tree in somebody’s yard will have to do 🙂 That way it can be enjoyed for awhile and not taken down immediately! 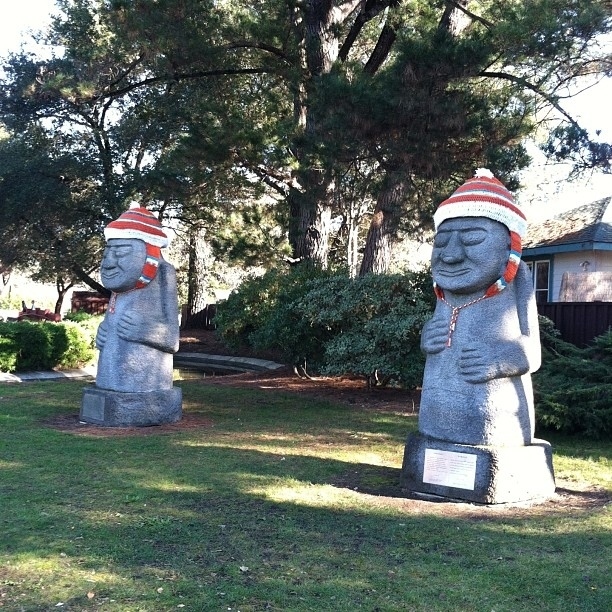 I love this local yarn bomb of the Sister city statues from Jeju City, South Korea located on Sonoma Avenue last year. 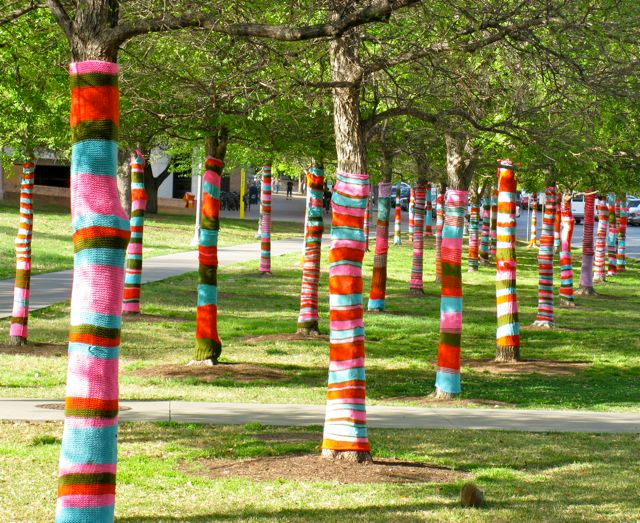 Credit to Artist Judy Kennedy for knitting up these giant, cozy hats. 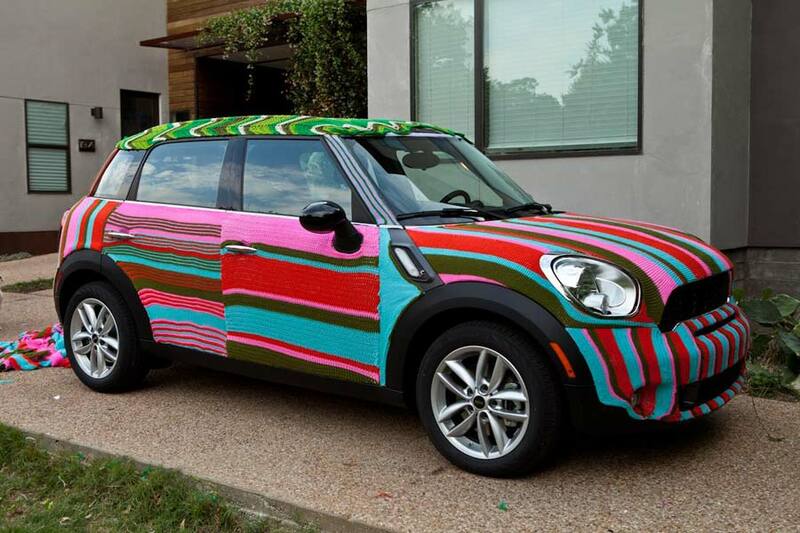 Mini Cooper covered in YARN! Previous Ripple Stitch Next Hats, hats and more hats! My house is on a corner lot with two large magnolia trees in a fun neighborhood that would enjoy your work. 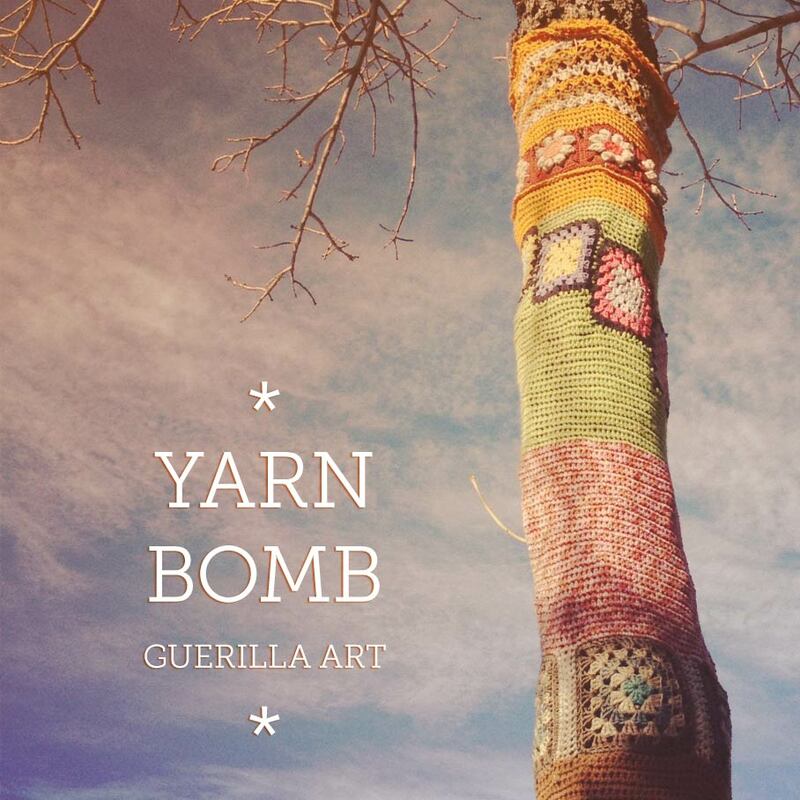 Let me know if you want a tree or two to display your work. My son builds outdoor living spaces (and will be in Sonoma County for I don’t know how long). Maybe he can introduce this concept to some of his clients.